Last month, I had the good fortune to be in San Francisco with my son, who is a huge baseball fan. We had tickets to see the San Francisco Giants and were there when Barry Bonds hit his 756th career home run to set a new Major League Baseball record. Regardless of what you may think about the controversy surrounding Bonds’ career, this was truly a moment that will be remembered for a very long time. Being there was definitely an experience. In fact, when I e-mailed a friend to tell him we had been at the game, he responded by letting me know that he was in attendance when Roger Maris hit his 61st home run to surpass Babe Ruth for the single-season record for homers back in 1961. I apologize to those readers who do not follow baseball. Suffice it to say that Bonds and Maris achieved significant milestones in their careers when they set their respective records. This month will also be one of those “moments in time” as millions of students at all levels of education return to (or begin!) school. In this, our “Back to School” theme issue of Counseling Today, I call your attention to the special features you will find throughout our publication. We all have moments in time that we will remember for the rest of our lives. Sometimes, they are good moments and sometimes, not so pleasant. Let me ask you to think about a particular moment. I want you to remember the moment you chose to be a professional counselor. Any number of reasons might have led to your decision to become part of such a noble profession. Or perhaps it “crept up” on you as you pursued various occupational or educational paths only to find yourself at the door of a counselor education program. Or maybe you had a mentor or colleague who encouraged you to become a professional counselor. Regardless of the path you took, please know you are now part of a community that really is helping millions of children, adolescents, families, adults and couples each and every day. You are part of a very special group of professionals, and I hope the American Counseling Association will continue to provide you with the resources, information, support and networking that you need. Speaking of what we can help to provide, I know many of you have already registered for next year’s ACA Annual Conference in Honolulu (March 26-30). I’m pleased to see that so many have also signed up for one of the ACA hotels in Honolulu. In fact, given that the response has been so positive and based on the numbers we are seeing, we are in the midst of adding additional rooms at yet another property. Understand that in addition to being in one of the most beautiful locations on earth, we will be offering more than 400 professional development sessions, along with the chance to interact and connect with colleagues from all over the world. The 2008 ACA Annual Conference is shaping up to be one of the best ever. 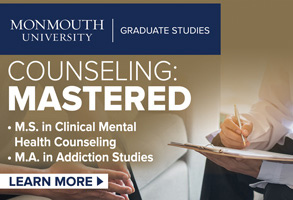 For more information, go to www.counseling.org/conference. The Hawaii gathering will certainly provide some special moments for you. For those of you beginning a new school year — whether as a student, a counselor educator, an administrator or as someone there to support a family, friend or significant other who is a student — I wish you the best of luck. Preparing to be a professional counselor is challenging at times, but I think that decision is something that will fill you with many special moments as you progress through your career. This special “Back to School” issue of Counseling Today contains many interesting articles in which our writers describe the “special moments” of many of your colleagues. I hope you will enjoy reading this issue. If you have the chance to drop me a line, let me know about the special moment when you realized you would become a professional counselor. I am always fascinated by what moved our members to become such incredible helping professionals. As always, please feel free to contact me with any questions, comments or suggestions that you may have by e-mailing ryep@counseling.org or calling 800.347.6647 ext. 231. It has been six years since our country was attacked on Sept. 11. The paramilitary operation conducted by elements of the al-Qaeda organization killed more Americans than the Japanese attack on Pearl Harbor. Like Pearl Harbor, an event that propelled our nation into the Second World War, the attacks of 9/11 launched our country into a military conflict. Our troops are currently engaged on multiple fronts for the stated purpose of destroying “terrorist organizations” and those who support or provide sanctuary to people intent on harming our nation and our allies. The “war on terror,” now in its sixth year, is a conflict of longer duration than World War II (the U.S. involvement of which lasted four and one-half years). The present conflict has resulted in the overthrow of the Taliban regime in Afghanistan and the deposing of Saddam Hussein’s brutal dictatorship in Iraq. It has also generated a growing frustration. In particular, the aftermath of the Iraq invasion by U.S. forces continues to challenge the American people and their elected officials. At this juncture, none of the options looks attractive. There is no end in sight to this conflict, and the impact of war on our military men and women — and their families — will remain a challenge to American society for generations. One of the major accomplishments of the multicultural movement within the field of counseling has been to increase our awareness of issues of cultural diversity. Counselors recognize that client/counselor similarities and differences, and how counselors address those issues, have the potential to impact the counseling relationship for better or for worse. We understand the importance of respecting client beliefs and maintaining a neutral posture, particularly when client beliefs challenge or conflict with the counselor’s own beliefs or worldview. It is safe to say that the “war on terror” is a divisive topic, not only among the general public, but also among counselors. While many counselors support the current direction of U.S. foreign policy and military actions, many counselors do not. As such, for some counselors, working with military personnel and their family members presents a challenge that requires sensitivity and professional skill. Depending on how one views the concept of “culture,” in many respects, the American military is a culture unto itself. Military personnel and their families typically share a collective identity, a sense of community and a common purpose. Unlike the Vietnam era, today’s U.S. military remains an all-volunteer force. Our women and men in uniform willingly serve and sacrifice, understanding themselves to be defenders of America. While the execution of the war remains a hotly debated political topic, it is helpful for counselors to appreciate that many, if not most, military personnel and their families generally support current U.S. foreign policy and the war effort. Client sensitivity to counselor acceptance is often subtle. Some of my military clients have expressed outrage toward people who profess to “support the troops” yet oppose the mission to which those troops are committed. Regardless of our personal opinions about the current war and its execution, in many cases an understanding of military “culture” and the inherent values of “service” and “patriotism” are essential if a counselor is to effectively join with a military client or a member of that client’s family. Recent initiatives by the American Counseling Association have expanded opportunities for counselors to play a more direct role in providing services to military veterans in the future. At present, however, counselors do not enjoy parity with other mental health professionals in providing services to active duty military personnel. And counselors are not yet able to serve in the military in their professional capacity as “counselors.” This needs to change — our troops deserve access to the best professional services available. Given that counseling is a diverse profession with multiple areas of expertise, counselors are in a position to provide critically needed services to members of the military and their families. Services to which, in many cases, they do not currently have access. Our association will continue to educate federal staff, our elected officials and other policy-makers regarding the professional resources available from counselors and work aggressively to expand access to those services for military personnel and their families. Although the complex problem of racism is often minimized in the minds of many persons, particularly among many White persons in our contemporary society, periodic and blatant manifestations of this problem remind us that this pervasive social pathology continues to exist in our nation. The recent racist and sexist comments made by radio host Don Imus, and the national discussion that ensued from this event, provided a painful reminder of some of the ways racism and sexism are still overtly manifested by persons in public positions. While receiving much less attention from the mainstream media than the Imus controversy, another racial problem of much greater significance occurred last December. That’s when six Black students at Jena High School in central Louisiana were arrested after a school fight in which a White student was beaten, suffering a concussion and multiple bruises. The six Black students were charged with attempted murder and conspiracy and face up to 100 years in prison without parole. The fight took place amid mounting racial tensions after a Black student sat under a tree in the schoolyard where only White students usually sat. The next day, three nooses were hanging from the tree. Mychal Bell was the first of the “Jena Six” to go on trial. He was convicted just over a month ago of aggravated battery and conspiracy. He faces up to 22 years in prison when he is sentenced on July 31. Because this monthly column is designed to address a broad range of issues related to multicultural-social justice counseling, we have outlined a comprehensive approach to dealing with the complex problem of racism in school settings, using the situation at Jena High School as a focus of our attention. Before we begin, it is important to highlight a couple of points. First, most multicultural-social justice counseling advocates emphasize the importance of implementing comprehensive counseling and advocacy services in school settings that are aimed at preventing the sort of ugly problems that occurred at Jena High School. Despite the best efforts of counselors committed to a comprehensive and preventive approach to school guidance and counseling, conflicts will predictably occur that require crisis counseling as well as secondary prevention interventions. Such would be the case in addressing the racial problems at Jena High School. Second, a comprehensive approach to promoting acceptance and respect for cultural-racial differences, as well as dealing with crises when they arise, includes the implementation of multiple service strategies. With this in mind, four distinct service domains are described below. Counselors are encouraged to consider each of these service domains when developing comprehensive school-based interventions to deal with multicultural challenges in general and the types of racial problems that occur at schools around the nation. Individual and group counseling are among the services counselors typically provide to students in school settings. These services are usually aimed at helping students who are experiencing various types of difficulties in their lives. The problems at Jena High School and other schools encountering similar forms of racial tensions predictably heighten and confuse emotional reactions and interpersonal tensions. When students exhibit negative reactions to such overt racial conflicts, counselors are expected to provide individual or small group counseling. These settings enable youth to explore their thoughts and feelings related to these conflicts and learn new ways to respond to the racial problems that exist in their schools. 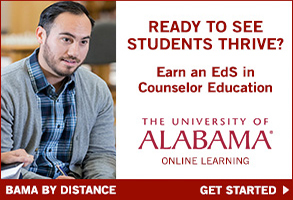 To provide these direct student services effectively and ethically, school counselors need to acquire the Multicultural Counseling Competencies developed by the Association for Multicultural Counseling and Development in 1992 and formally endorsed by the American Counseling Association in 2003. One area of competence that is particularly important for counselors providing direct counseling services within culturally diverse school settings involves becoming knowledgeable about the racial/cultural identity development models that have emerged in the profession during the past 25 years. With this knowledge in mind, counselors are better able to tailor individual and small group counseling services that complement the racial/cultural developmental level and perspectives of the students they counsel. Students are not the only persons adversely affected by racial conflicts in the school setting. As was the case at Jena High School, teachers, administrators and other staff persons can also experience a broad range of negative reactions, heightened emotional experiences and general confusion as to what they can do to restore harmony and peace in their classrooms and schools after racial conflicts occur. The manner in which these persons respond to racial conflicts at their schools can have a positive or negative effect on students. Knowing that, counselors would do well to offer consultation services to teachers, administrators and other staff interested in learning how they can respond in the aftermath of racial conflicts when interacting with students in classrooms or elsewhere in the school setting. This includes consulting with teachers about how they might address students’ reactions to racial conflicts in their classrooms after administrators or law enforcement personnel have spoken to the incidents. Counselors should also consult with school administrators about the types of actions that need to be implemented to restore harmony and peace in their schools. These efforts need to explore various actions that might be taken immediately following racial conflicts as well as longer term strategies intended to serve preventive purposes well into the future. The unfortunate racial conflicts that have occurred at Jena High School and other schools across the United States clearly have had an adverse impact on students as well as teachers, administrators, counselors and other members of the greater community. While it is worth repeating that primary prevention strategies are the best tools to use to avoid such incidents from occurring, it is hoped that the recommendations outlined in this month’s column will be useful if counselors face similar incidents in their own school settings. These steps are representative of the practical services culturally competent counselors can provide to promote human dignity and development in our schools and communities. On July 11, the U.S. House of Representatives passed sweeping legislation that would bring some of the biggest changes to student aid policy in a generation. The College Cost Reduction Act of 2007 would provide the single largest increase in college aid since the GI Bill. The new legislation would be financed by cutting excess subsidies paid by the federal government to lenders in the student loan industry. The bill, H.R. 2669, was passed by a vote of 273-149, marking the first step in the journey through the legislative process. Of key interest to the American Counseling Association and its members, the bill would add school counselors to a list of high-need professionals — including early childhood educators, foreign language specialists, nurses, librarians, speech-language pathologists and child welfare workers — eligible for loan forgiveness under the Higher Education Act. If Congress enacted the legislation into law and appropriated sufficient funds, school counselors working full time in disadvantaged schools (i.e., Title I-eligible schools) would be eligible to receive a maximum of $5,000 in loan forgiveness for an outstanding Federal Stafford Loan or Federal Direct Stafford Loan on a first-come, first-served basis. H.R. 2669 would also provide loan forgiveness for eligible Federal Direct Loan borrowers who have been employed in the areas of public safety (including first responders, firefighters, police officers and emergency medical technicians), public health or public interest legal services for 10 years and made 120 income-contingent payments on their direct loans. Last month, the Senate Health, Education, Labor and Pensions Committee approved its own version of student assistance legislation. While the Senate version does not include the loan forgiveness language for school counselors, it also would create loan forgiveness under the Federal Direct Loan Program for certain borrowers working in public sector jobs. Negotiations between the House and Senate are expected to take place this fall to work out the many differences between the respective versions. It is important to note that counselors cannot receive loan repayment at this time as a result of the House vote. The House-passed language must also be approved by the Senate, signed into law by the president, outlined under regulations developed by the U.S. Department of Education and funded by Congress before any money can be disbursed to borrowers. ACA will be working to accomplish these goals and will keep members informed on our progress. The U.S. Department of Education announced in June the Elementary and Secondary School Counseling Program grant recipients for the 2007-2008 school year. For a complete list of the awardees, go to www.ed.gov/programs/elseccounseling/fy2007awards.html. More than $11.4 million in new ESSCP grants will be provided to 35 school districts in 21 states to improve elementary school counseling programs. The Education Department continues to fund the 62 school districts that were awarded grants in 2005 and 2006. Funding for next year’s ESSCP remains uncertain at this point. As mentioned in July’s Counseling Today, the House education spending bill proposes funding ESSCP at a record $61.5 million, while the Senate education appropriations bill would fund the program at $40 million for next year. While both bills propose an increase in funding, only the House bill would allow funds to be used to support counseling programs in secondary schools. Under the current requirement, the first $40 million appropriated for the program must be devoted solely to supporting elementary school counseling services. ACA has been working diligently to gain as large an appropriation as possible for ESSCP. In June, ACA Past President Marie Wakefield and American School Counselor Association President Carolyn Stone sent a joint letter to Senate Appropriations subcommittee Chair Tom Harkin (D-Iowa) and ranking member Arlen Specter (R-Pa.). The letter thanked the senators for increasing funding for ESSCP in the Senate spending bill and encouraged them to work with their colleagues to support the House-approved funding level of $61.5 million in the final Fiscal Year 2008 Labor, Health and Human Services and Education appropriations bill. Counselors are encouraged to go to the ACA Legislative Action Center at http://capwiz.com/counseling and send a message to their U.S. senators and representatives urging them to support the House-approved funding level of $61.5 million for ESSCP in the final appropriations bill. For more information, contact Chris Campbell at 800.347.6647 ext. 241 or ccampbell@counseling.org. We have received several questions related to billing insurance companies recently, including the following two inquiries. Q: I have left a social service agency to start a private practice. I have been accepted by a few insurance and managed care companies as a provider. But, with all the recent changes in billing these companies, I am at a loss on how to proceed. I practice in a community where most clients need to use their insurance benefits to afford counseling. Q: In one of your recent columns, a counselor referenced use of HCFA (Health Care Financing Administration) forms. This counselor was not on insurance panels and had clients file their own forms with their individual insurance companies. My colleague and I are in the same position and would like to offer this service to our clients. Would you please advise how to go about obtaining and using HCFA forms? What is the process? Does the counselor have to complete part of the form and/or interact with the insurance companies? A: Congratulations on making the change to private practice. Take a breath and pat yourself on the back. If you plan to bill insurance and managed care for your clients, it pays to investigate all the options. Also, whatever path you choose now is very important, because as your practice grows, it can be a real headache to switch later. Don’t try to save a few dollars up front, as it may cost you more later on. When investigating the options, be sure to inquire about Health Insurance Portability and Accountability Act (HIPAA) compliance. First, decide now to either purchase billing software and learn to do it yourself or hire it out to be done. Some insurance and managed care companies, such as United Behavioral Health, allow providers to bill for free through their websites. In terms of software, look at Sumtime, Ezclaim, Therapist Helper or Shrinkrapt. Each of these billing programs is fairly user-friendly, and you control the billing process. Each of the programs automatically prints out the complete insurance billing form from your computer printer. The form is called the CMS-1500 or HCFA (these forms can be ordered at www01.medicalartspress.com/catalog/browse/sku.asp?PageType=1&sku=165760). Another option is a billing service. For a percentage of your collections, these services will handle all billing and debt collection from both the client and third-party payor. Netsource Billing (netsourcebilling.com) will do everything from insurance verification to handling denials. NaviNet (www.navinetclaims.com) is a web-based service that, for a flat yearly fee, will walk you through billing and set up and submit your claims electronically. 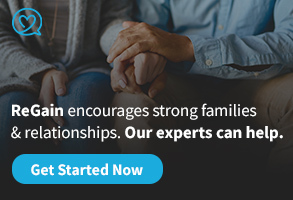 We have links to these sites on our website, counseling-privatepractice.com. Second, join as many insurance/managed care companies that offer a fair fee as possible. Identify the top 20 employers in your area, find out which insurance/managed care companies they use for employees and actively pursue those companies. Billing insurance and managed care companies can add value to your practice. It might be one way to differentiate your practice from others in your area. Another cost-effective insurance billing strategy is the superbill. “Superbill” is the term for a billing format in which the mental health clinician wants to handle billing in a simplified manner. Using this strategy allows the client to submit the bill directly to the insurance company. The superbill form is all clients need to file their own insurance. It removes the clinician from the billing loop and saves money on computer billing software and even postage. It is a particularly good choice for the new provider who is starting out on a shoestring. A superbill is usually a single page and must contain the client’s name and date of birth, clinician’s name, the practice name and address, phone number, date and place of service, clinician’s tax ID and National Provider Identifier number, state license number, checklist of CPT (current procedural terminology) codes, a place to write Diagnostic and Statistical Manual of Mental Disorders or International Statistical Classification of Diseases diagnosis codes, the charge for service and the payment, balance due and signature of the clinician. Any local printer can make three attached pages with NCR carbonless paper. One copy goes in the client file to keep record of payment. Two copies are given to the client: One is a receipt for personal records; the other can be sent to the insurance company for reimbursement through the client’s insurance plan. 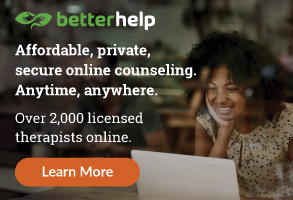 With the superbill, the mental health clinician can ask for payment at the time of the session and save money by not purchasing billing software. An example of our superbill is available in The Complete Guide to Private Practice for Licensed Mental Health Professionals. We will also send it to those who request it (e-mail walshgasp@aol.com). We will be presenting our workshop “Starting, Maintaining and Expanding a Successful Private Practice” on Sept. 21 in Charlotte, N.C., and on Sept. 22 in Durham. The North Carolina Counseling Association is sponsoring the workshop. 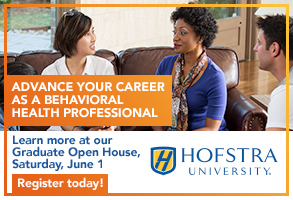 For more information, contact NCCA at 888.308.NCCA (6222), or visit www.nccounseling.org. Robert J. Walsh and Norman C. Dasenbrook are coauthors of The Complete Guide to Private Practice for Licensed Mental Health Professionals (www.counseling-privatepractice.com). ACA members can e-mail their questions to walshgasp@aol.com and access a series of “Private Practice Pointers” on the ACA website atwww.counseling.org.